So a couple of weeks ago, I upgraded my iPhone 6S to an iPhone 7 simply because I needed more storage space on my phone and a my phone was slowly but surely falling apart from a cracked screen to a silence button that didn't work. 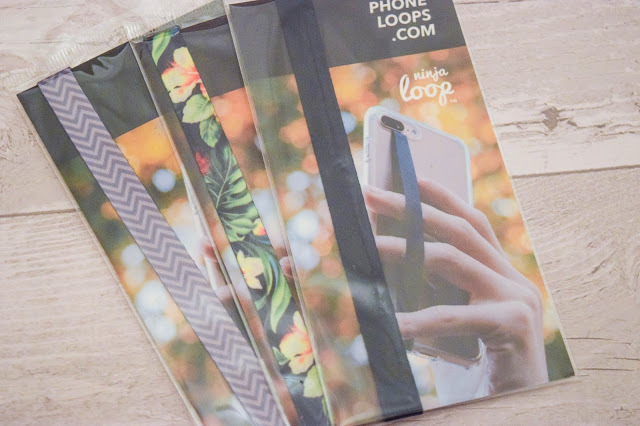 Along with a new upgrade, I realised I needed some new cases and that this was a great opportunity to begin testing out these Ninja Loops from Phone Loops * that I was kindly sent. I've been testing these out since I picked up my new iPhone and now that I've been using it a while, I'm ready to give you my verdict. 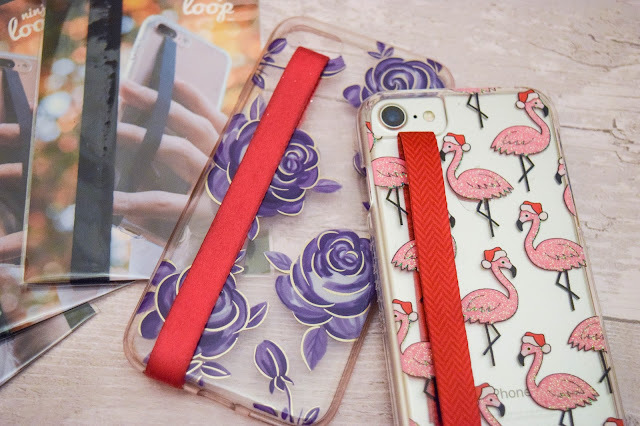 Phone Loops are simply one-size-fits-all bands that you can adhere to your phone's case to support grip and improve the safety of your device. It's made to save you from the cost of repairing that cracked screen and help you avoid dropping your phone as often. I used to drop my phone a lot so this really appealed to me and I wanted to try it out for myself. I did wonder... How is having a band across it really going to help me? Honestly. It's just a band. Well, let me tell you a bit more about it. 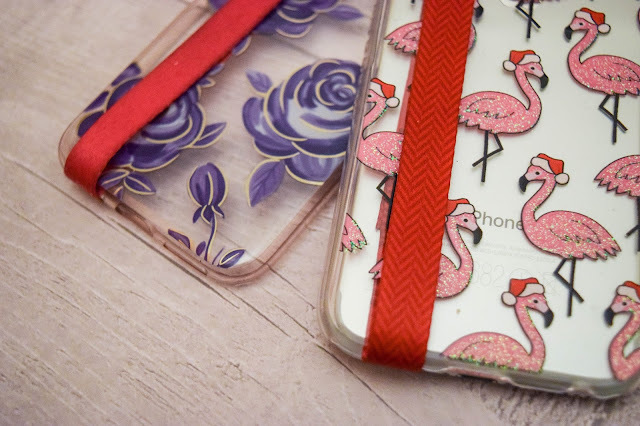 Firstly, they aren't one of these expensive phone accessories that are extortionately priced. With most of the Ninja Loops at $4.99 it retails in the UK at about £3.73 (according to Google's conversions). Not bad I thought! 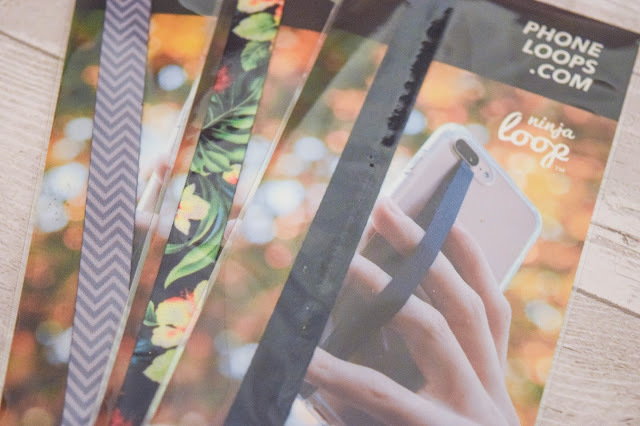 The brand is based in Canada so shipping takes a couple of weeks but is only $4.99 too and sometimes they have free shipping. Mine only took about a week and a half to arrive and I ordered mine myself. Applying the phone loop is easy. Especially when you have some clear cut instructions on the back of the pack (which I forgot to photograph! Oops!). Follow the picture diagram and the three step instructions which are: First stick inside a clean and sturdy case. Then put the loop through the openings. Finally adjust around one finger and stick. Simple! It's double sided adhesive too so it was easy to apply and sturdy. I adjusted mine once or twice and it was still really sticky so it does have a little give for adjusting. At first, I wasn't keen on the phone loops. I wasn't convinced at all and I instantly found it a fuss. It felt in the way and I couldn't find a comfortable hold. I wasn't set to give up on it yet but for some reason, I was looking for a reason I wouldn't like it. But that didn't happen. I suddenly started to realise that I was using the loop to grip more naturally and it became more comfortable. I didn't think twice about using the loop to grip and in fact preferred it. It felt safer and I noticed this even more so when I switched to my new Christmas case and I hadn't applied a loop onto that case yet. I felt like my phone was unsafe, like I was going to drop it and that I had less grip on it. 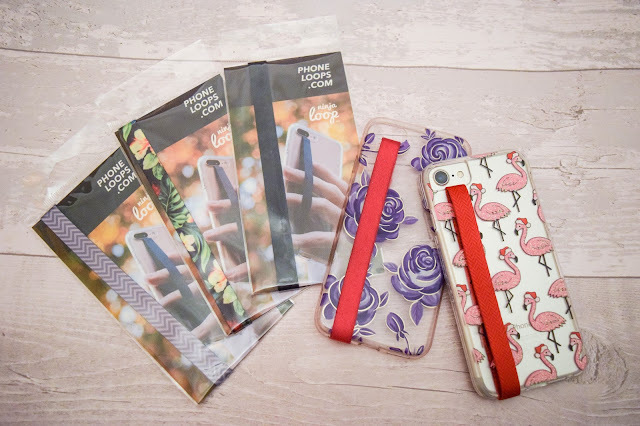 I'm a compulsive dropper and so I started to really love my phone loops and wondered how I'd ever been without them! The other thing I was worried about was whether they would bulge up and make the case sit weird, especially on harder cases but this didn't happen when I put it on my flamingo case so I was pretty pleased. 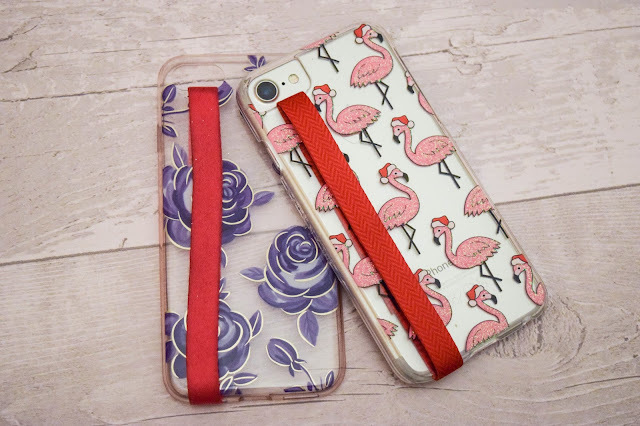 What's more is that they come in a variety of colours to suit you and your phone case. 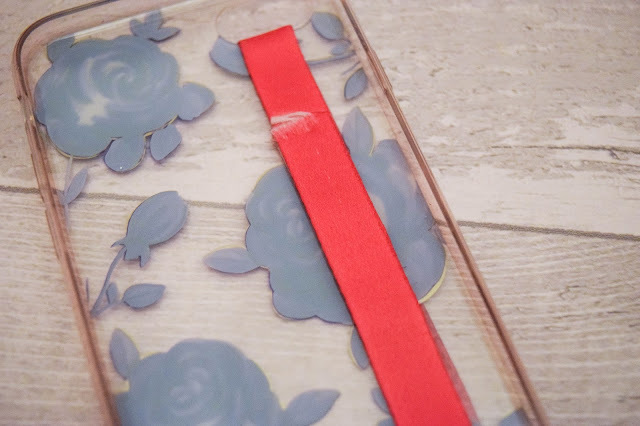 As you can see I have a pretty worn down and dirty pink one from all the use on my purple case and that I've applied a red one to my Christmas case! I'm hoping to get a dark evergreen and gold case soon and hopefully I can put the black one on that. I think they look really good on actually. 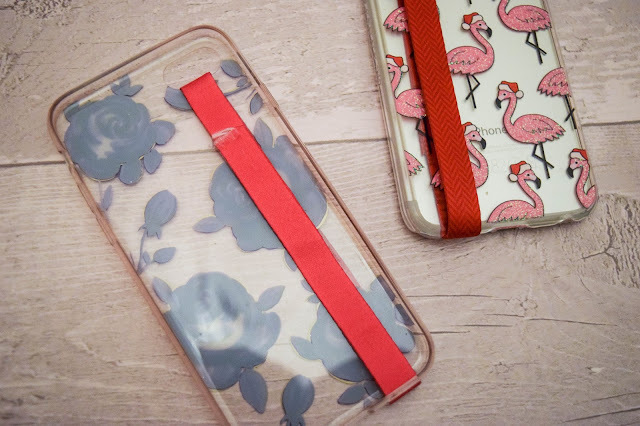 The only thing that I don't like about these is that it seems my pink one has stretched out quite a lot and also, I'm not sure about how I might apply it to a different case in the future. Would I need new adhesive strips? I don't know but I hope that these is a way to move them around because I think I'd like to use some of these on different cases. Overall, I really like these. 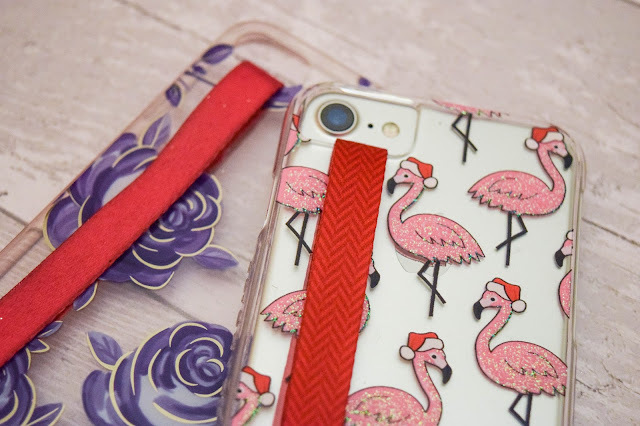 And I can say it confidently because I've attached one to my super awesome Christmas phone case and I'm not even mad about the fact it covers some of the Christmassy flamingos up! Some people have even asked me about it, what it is and where they can get one. Good sign I think. You know what? These would be fantastic stocking fillers for Christmas too! They also make other loops called Petite Loops which acts more like a wrist strap and custom loops too. Definitely check them out for yourself to see if it's something for you. 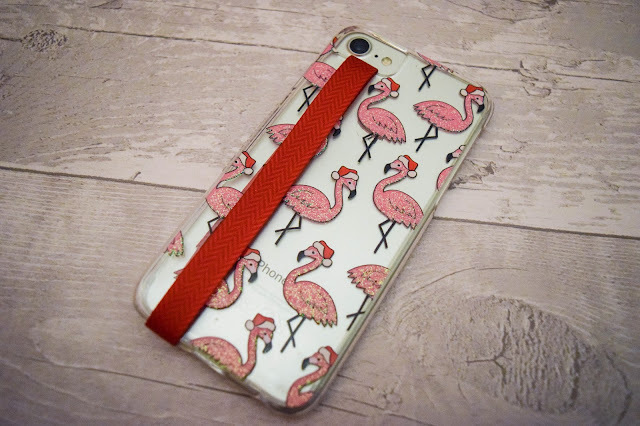 What do you think of these Phone Loops? Would you give them a go? Let me know in the comments!